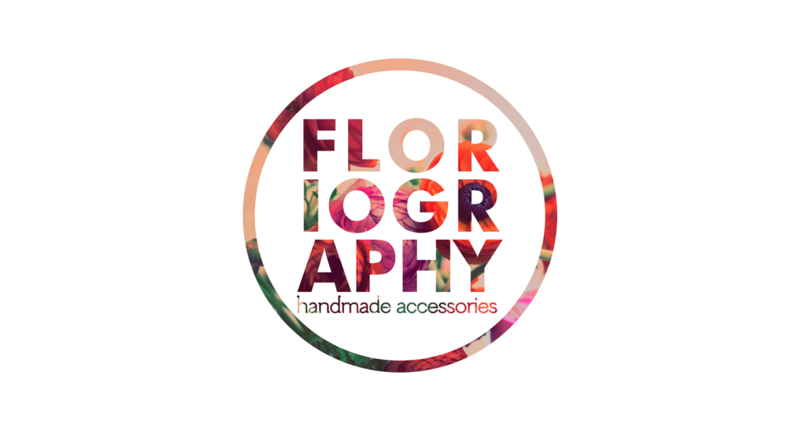 Floriography is a collection of made-by-hand accessories for every girl's inner flower child. Beautifully crafted one-of-a-kind pieces include silk flower head-dresses and bracelets, body chains and chain crowns. 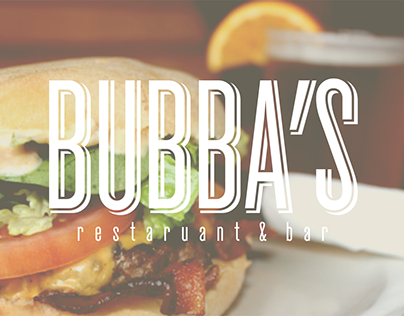 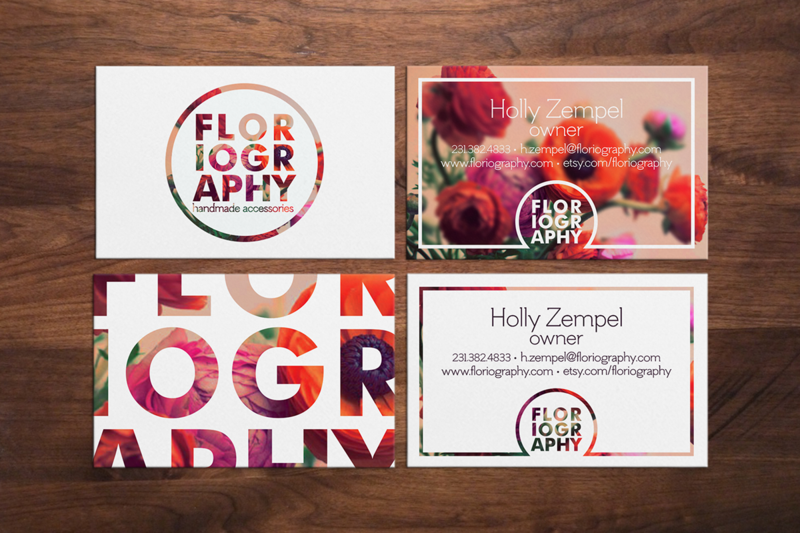 The owner wanted something girly & bold yet clean & sophisticated for the identity. 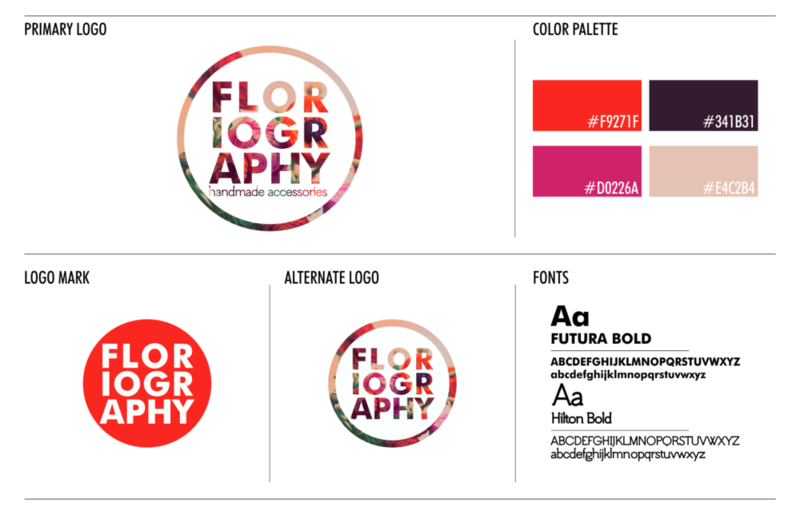 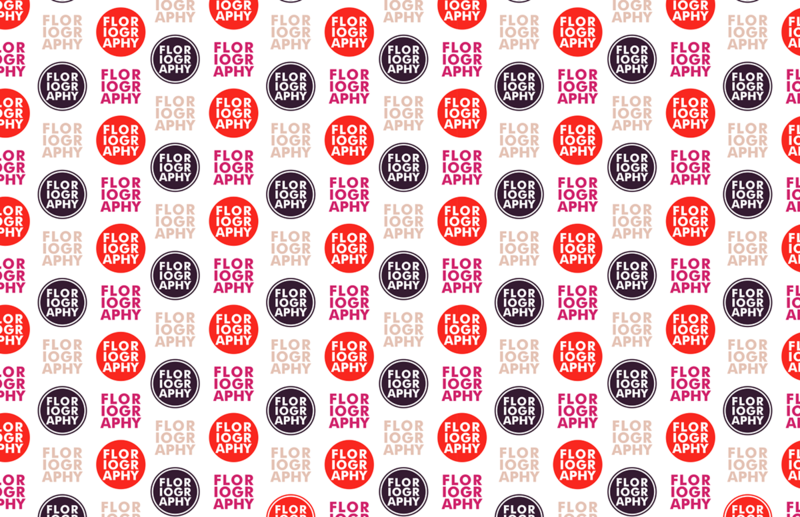 We opted for a block type knock-out logo with floral photography in a bold, feminine color palette. 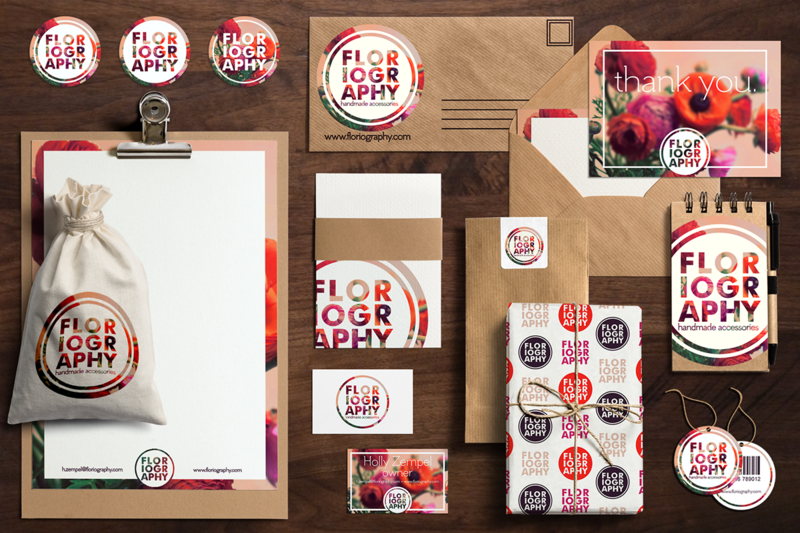 She needed a range of packaging components for various types of delicate items, so the identity set includes kraft paper sleeves and patterned tissue paper as well as hang tags, wrap tags and stickers. 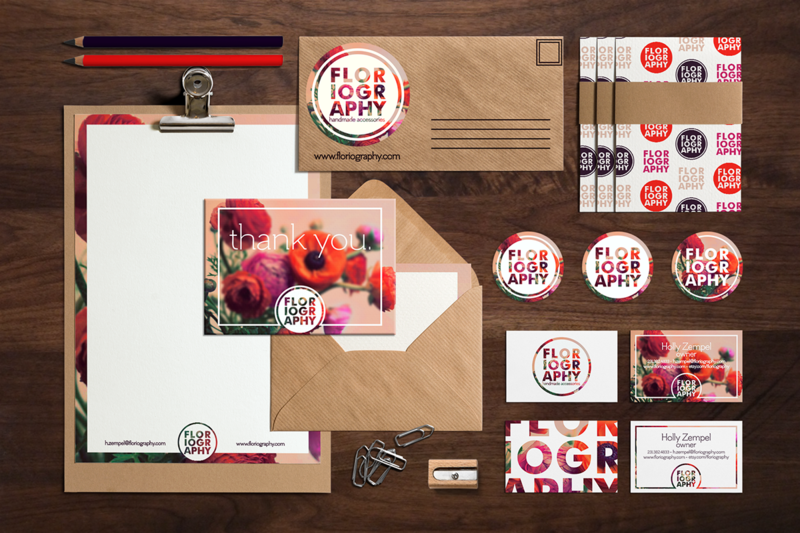 The correspondence set includes letterhead, thank you note, envelope and business card. 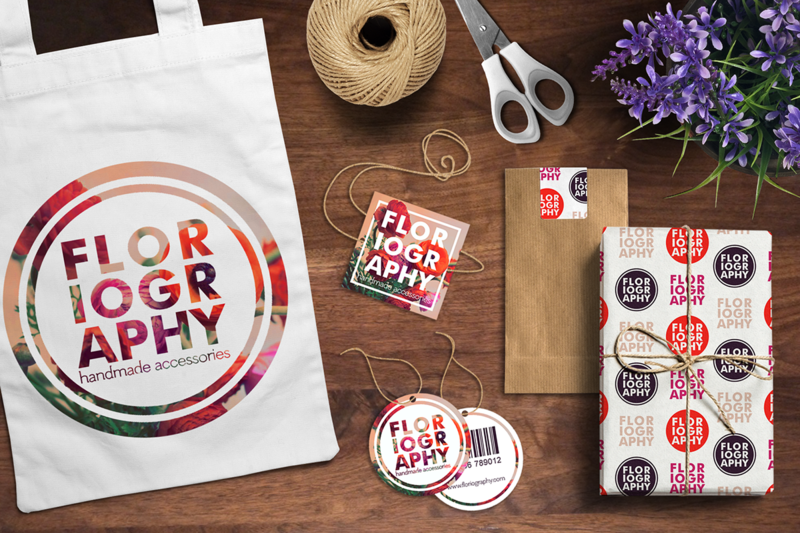 Logo & identity created for a handmade floral accessory company.